IIT Bombay is working hard to equip the Aakash 3, the next gen Aakash tablet, with new and improved features such as open source OS, faster processor, more preloaded apps, advanced memory and a SIM card slot. The Aakash 3, the next generation of India's ultra low-cost Aakash tablet, will come with a range of new and exciting features with an unchanged price. 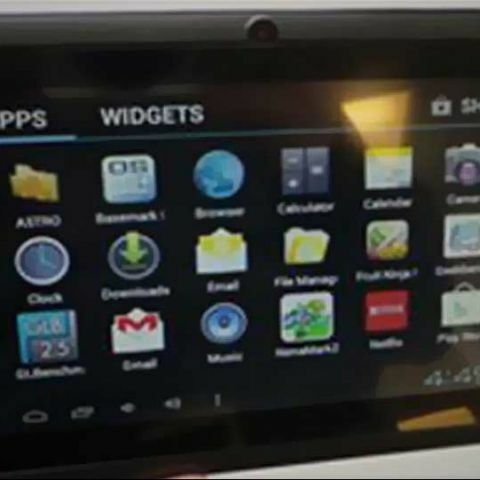 According to reports, researchers and professors at IIT Bombay are working hard to add newer applications and more open source software to the third-gen Aakash tablet . Researchers are also focussing on making the device 'as indigenous as possible' and get support from multiple vendors. Tenders for the Aakash 3 will be floated in February 2013 and the plans are to roll out 50 lakh units of the tablet in the next phase. "Our aim is to imbibe the usage of tablets in the education system and create an ecosystem for this. We have distributed Aakash tablets to 250 colleges across the country and asked them to come up with newer ways to use the device," Deepak B Phatak, committee member and a professor in IIT- Bombay's Department of Computer Science and Engineering is quoted as saying. In an interview with Digit, DataWind CEO Suneet Singh Tuli had hinted that the next generation of the Aakash would include GPRS and/or even 3G functionality and may look at 9-inch and 14-inch form factors. You can read the complete interview here. The government recently unveiled the Aakash 2, developed by IIT-Bombay along with C-DAC. The device was also unveiled at the United Nations last month. Read our previous coverage here. Aakash 2 well-received at the UN; can Indian govt deliver it to the public?